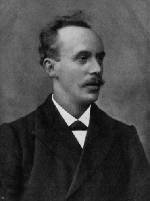 JOHN HARPER was an evangelist on the Titanic. On the anniversary of this tragedy, after 1,517 people perished in a watery grave, I want to remember a man of God who provided hope for those who had little aboard the Titanic. 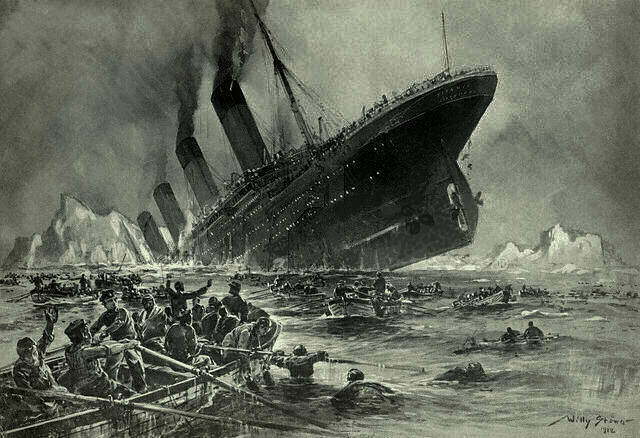 When the Titanic hit the iceberg, Harper successfully led his daughter to a lifeboat. Being a widower he may have been allowed to join her but instead forsook his own rescue, choosing to provide the masses with one more chance to know Christ. Harper ran person to person, passionately telling others about Christ. As the water began to submerge the “unsinkable” ship, Harper was heard shouting, “Women, children, and the unsaved into the lifeboats.” Rebuffed by a certain man at the offer of salvation Harper gave him his own life vest, saying, “You need this more than I do.” Up until the last moment on the ship Harper pleaded with people to give their lives to Jesus. Absolutely chilling to read the above account! Jesus’ words in Mark 16:15 weren’t a suggestion; they were a command! Living for Christ in every area of life is critical, but I feel the area of evangelism is a cut above the rest! “The harvest is plentiful but the laborers are few!” May the Lord grant us more like John Harper!! Haven’t you ANYTHING better to do than what you do? It’s not an either-or situation, Steve L.
Jim can do this, AND do something “better”. Wow, what a truly awesome God we serve!!! God, using His servants in the icy waters, John Harper realizing he was saved in the way that really counts and seeking to save others. What a great testimony! Better, haven’t’ seen it! And from my vantage point, his identity seems to be comprised of a mind set that doesn’t do the speaker (him) nor the hearer any good whatsoever! That’s your subjective opinion, based on an incredibly limited knowledge of Jim. So, there’s that. Which is… ? And you base this on… ? If Christians are discouraged by what Jim does, that’s just gravy. Like Jim, I’m here because Steve is dishonest both with us and himself. Let’s get one thing straight! All you guys (especially Jim) are as negative as life allows! You, with Satan’s help, have submersed yourself into a negative lifestyle pattern and it’s so easy to recognize. All of you have a chip on your shoulder; you’ve got something to prove. A haughty spirit and lofty eyes. The whole world is out to get you, and you feel that success is simply an impossibility. This includes the success of overcoming this negative mind set that ultimately turns into a negative lifestyle. Want proof? You keep coming back to this web site peddling your foolishness. Sure, you’re welcome here anytime but understand this is how I view you and will continue to do so until you can give me a reason to do otherwise! Now, am I going to get flamed for writing the above when, as a Christian, I’m supposed to be “positive” all the time? The whole world is out to get you, and you feel that success is simply an impossibility. All you guys (especially Jim) are as negative as life allows! If being negative means unwilling to accept a comfortable lie (Jesus came to save us and we can have eternal life through/with him, etc.) because it’s well, untrue – then, yeah consider me negative. However, I don’t think accepting reality is at all negative. This includes the success of overcoming this negative mind set that ultimately turns into a negative lifestyle. Please tell me what you think my negative lifestyle entails. Please be specific. Yeah, but we’re all having fun, right? That seems like an exaggerated use of hyperbole, but I’ll give you the benefit of the doubt and ask you to please show where I have been “as negative as life allows”. If you’ve got nothing, please retract. Hrm. So you say. You don’t demonstrate, but you say this. Please give an example where I have “submersed [myself] into a negative lifestyle pattern”. Or, admit that you know absolutely nothing about my lifestyle, and retract your bluster. Please explain how you’re able to “recognize” this. Please support, or retract. This post from you is all sorts of failed mind-reading. Any particular reason why you engage in failed mind-reading this much? So you say. Again, you don’t demonstrate, but you certainly say it. Uh, no. I definitely do not believe that the whole world is out to get me. I am not a paranoid conspiracy theorist. Where do you get this silliness from? Success is definitely not an impossibility for me. Projection again? I don’t know. Seriously, now you’re starting to sound like a Scientologist. I’m waiting for you to invite me into an auditing session. As I mentioned before, all of this “negative mind set” and “negative lifestyle” claims of yours are unfounded and should be retracted. Even if I accepted this for the sake of discussion, I don’t see how this is “proof” of your previous specious claims. Lovely. And as soon as you own this blog and you’re in charge, then I’ll consider that as important. That isn’t my “agenda”. As I’ve stated, I come here because I enjoy talking with people who think very differently than I do. Also, this is one of the very few religious blogs that allows me to post my comments as much as they are, and I appreciate Steve S. for that. No, you’re going to get flamed because you engaged in a whole bunch of failed mind-reading and made specious claims with no support. Steve; if you could choose between physically saving those passengers, or sharing the gospel, but they’d die, which would you choose? Physically saving them. Then I’d preach to them on land.